The Boston Globe reports Southwest will begin serving Boston’s [[Boston Logan Airport – BOS | Logan Airport]] airport this fall, with eight to 12 daily departures on routes that will be revealed sometime in spring. The airline already flies from several airports in the area—Manchester, New Hampshire; Providence, Rhode Island; and Hartford, Connecticut, to be exact—but according to the Globe, [[Southwest]] has targeted Boston for years. Anyone who’s followed the airline industry, and Southwest in general, for the past few years has to be a little surprised by this news. Just last year, Southwest CEO Gary Kelly told the Globe he didn’t foresee a move to Boston in 2009 due to high fuel prices. Well, fuel prices have plummeted in recent months, but Southwest’s position in the industry has diminished as well. In January, Kelly said, in response to Southwest’s poor financial numbers, that “Now is not the time to be growing. Passenger traffic is declining. We’re slowing our growth at just the right time.” So much for that. But if Boston has been a part of Southwest’s grand plan all along, it easy to see why the carrier would make an exception to its no-growth plan and launch operations now. Virgin America has just arrived at Logan (with much fanfare), and JetBlue and American both ramped up service in response. 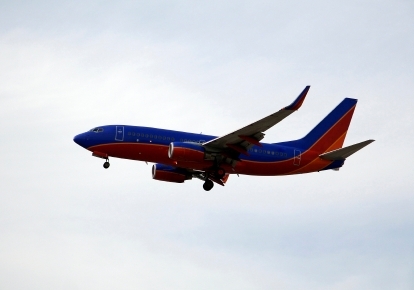 With three major carriers dipping into the Boston market, Southwest almost has to join in, despite its strong foothold in the region’s secondary airports. It’s an opportunity for Southwest to get in on the low-cost-carrier boom taking place at Logan and throw a wrench into its competitors’ plans. If Southwest opens service with cross-country routes—which are the only routes Virgin currently serves and represent a major portion of JetBlue’s Logan flights—prepare for all-out war. Flights to Florida would seem to be an obvious choice as well, as they would pit Southwest head-to-head with JetBlue and American. That, of course, is good for travelers all over New England, not to mention people who can connect through Boston. Southwest has a history of stirring up competition, which means lower fares and more options for budget-conscious travelers.